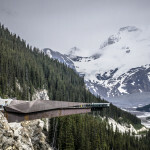 When we were turning onto highway 93 from Lake Louise, AB our GPS announced “Toll Booth Ahead” and I thought “Great, now the tolls begin.” As we pulled up to the toll booth it was just a roadside hut saying you must purchase National Park Pass, which we already had…so I was stoked, it’s almost like a free toll booth. Yes, it’s exactly what it sounds like: Helicopter plus Hiking. Our specific tour was rounded out with lunch, champagne and a sweet chocolate dessert. Sounds like a slice of heaven right? You bet your a** it was! 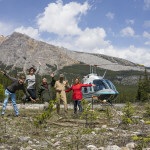 During our #AlaskaBound research we found this heli-hiking tour that departs from the Icefields Adventure Base Heliport. We booked our tour several weeks in advance (which is a big deal for us if you’ve ever read how we typically unplan our adventures) and as the big day neared we got really nervous questioning our decision and wondering if we should cancel: Was this tour worth it? Is it going to be a typical tourist trap phony adventure? Why did we agree to pay this much for one afternoon of play? Well, I think this video sums up our feelings pretty darn solidly! As we pulled into the parking area the Bus and RV lot was closed off so Nikki pulled us through the extremely tight automobile parking lot and scored us the last bit of curb in the place. We hit this spot at the exact same time as the Asian tour bus so the mostly snow covered trail moved at a glacial pace…pun intended. The hike should only take about 10 minutes but we were working our way up the hill for a sold 25 minutes. As we neared the lookout, all the foreign languages stated buzzing with excitement, a few people ran past us and then all we heard were “oooohs and aaaahhhhhhs” and that’s pretty much universal. 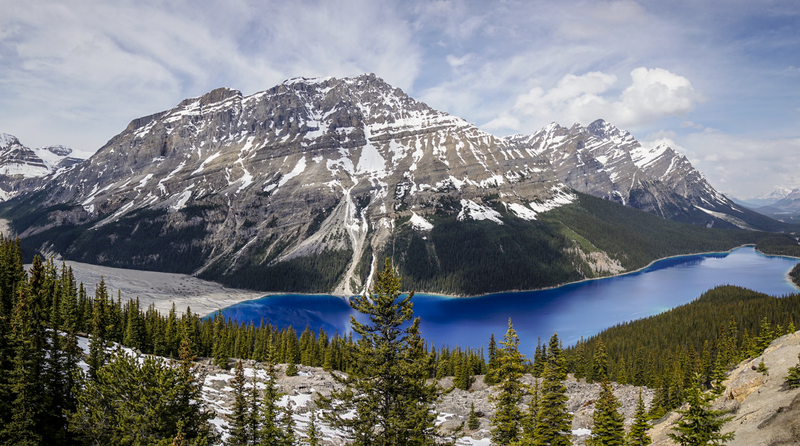 The color of Peyto Lake with the backdrop of the rugged mountains is absolutely jaw dropping. This time of year it was mostly iced over so I’m sure it becomes more spectacular as the season comes into full swing for early summer. Seriously it was gorgeous but I can only image the color of the water under all that white ice. 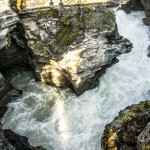 There is a hike that is supposed to be spectacular to Bow Falls but we didn’t have time for the 6½ km round trip. We didn’t expect much here, so maybe that’s why we really liked it! 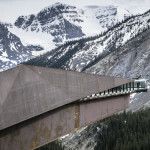 Architecturally speaking this skywalk is beautiful with rusted metal thrusting from the cliffs edge and thick glass as the floor. We took the very last bus out, and due to the cool weather most people rushed back to the bus and we were pretty much all alone out there! Our inner child took over as we ran around the arch, arms wide as if we were planes, staring down at the valley floor thousands of feet below. Is it a major thrill seeking adventure? No. Is it the best view in the area? No. Did it make us smile and say “wow”? Yes. Would we recommend it? Well, I hate to be the bearer of FOMO (Fear Of Missing Out) but if you’re only here once then why not? We’ve spent time on glaciers in the past so we had big expectations for something really cool considering the relentless marketing materials we’ve seen about this tour since we’ve been in Canada. The 6 wheel drive monster truck bus was pretty cool and our guide provided us with a little history on the short drive to the Columbia Icefield Glacier. 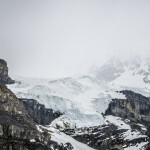 One cool fact: The Columbia Icefield is the largest Ice Field in the Rocky Mountains of North America and the part you can see on this tour is only a teeny-tiny fraction of it. 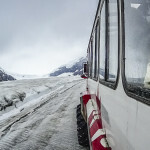 Once the big bus parks you’re let out for 20 minutes and it’s requested you stay in the “parking lot” on the glacier. The area you’re allowed to walk around is flattened so it doesn’t feel like a glacier at all and you don’t get the deep blue crevasse you would see on a natural part of the glacier. That said, this is the only way you can get this close to the glacier and the surrounding views are spectacular. 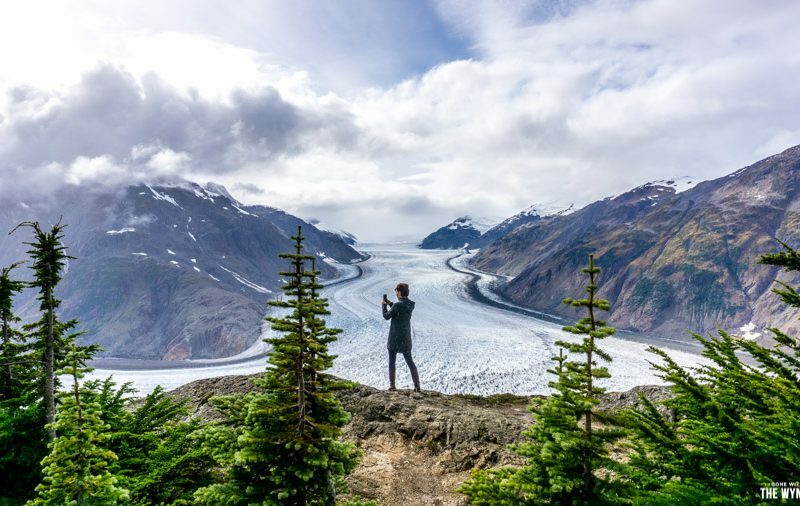 If you won’t have another chance to visit a glacier I’d say do the tour, if you’re on your way to Alaska like us then save the cash and just hike along the free viewing trail. Apparently the snowplow took out the sign for our campground so we ended up turning into the hostel instead.  The manager was extremely helpful and knowledgeable about the area. Unfortunately our destination was closed despite what we were told by the visitor center (and what was written on their ‘season’ info). This is a real bummer, there is literally nowhere within 100km to camp so we decided to wing it at a nearby picnic area. We were nervous at first but a couple hours later there were 4 more RVs and 3 of them were from Alberta themselves. I guess this is fairly common in the area?!? Maybe it’s a different story when tourist season picks up to a full swing, we have not confirmed this, so please don’t assume its ok until you do your own research. 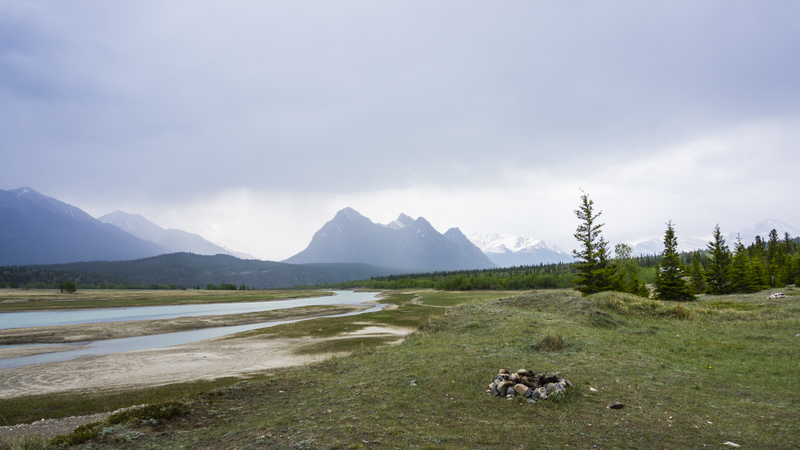 There are several little campgrounds along the Icefields Parkway with plenty of hiking and sightseeing to be done. I’m sure we sound like a broken record here, but I wish we had more time to explore and take it slow on this route. I’d plan at least 2 full days if you really wanna get out and stretch your legs while traveling this route from Lake Louise to Jasper. 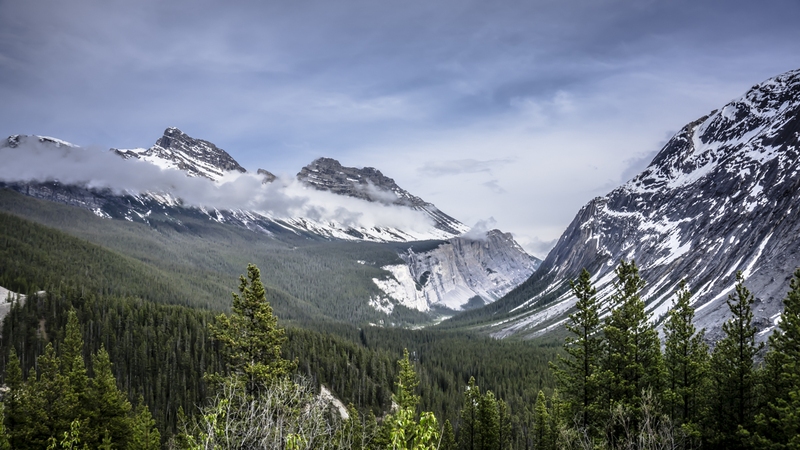 Have you driven the Icefields Parkway in Alberta? Am I crazy or totally right that it’s one of the most stunning drives in the world? Please share your thoughts in the comments below, any insights are extremely helpful for others planning their own Icefield adventure. Fuel Prices – Gas and Diesel were very expensive here and you should plan on filling up in Banff / Jasper to avoid the excessive pricing.  Road Conditions – The roads are in excellent condition so the drive is super enjoyable! 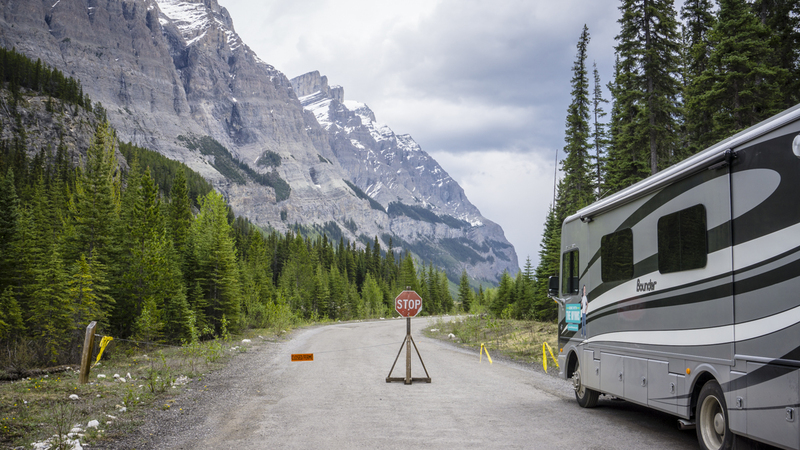 Disclaimer – Thanks to Tourism Jasper for helping us plan our trip through the Icefields Parkway in Alberta. 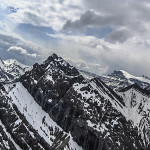 Super thanks to Rockies Heli Canada and Tourism Jasper for splitting the bill with us for the heli-hike experience, it was completely unexpected and we are extremely grateful for your kindness. No matter what, our opinions are our own and cannot be purchased…so we’re super happy we had such a blast! I love that you included that little lavender flower in your video that I know as a deer head orchid. They are one of my favorite woodland flowers and tend to be shy, and a bit elusive. The botanical name is Calypso Bulbosa. First of all, I am retiring at the end of this year (2016), and my wife and I are already shopping for our motorhome. I really appreciate getting to read you guys’ experiences. It’s helpful and you guys are fun to watch. Second, I have driven the Icefields Parkway several times. It is the most spectacular highway I’ve ever driven, and I live in Colorado (where we have some pretty spectacular drives of our own). I’ve also hiked all around there, and think of it as true God’s Country. On one occasion, my wife and I were coming around a curve, and I happened to look up at a mountain peak just in time to see a large avalanche begin coming down the side of a distant mountain. It was an experience I’ll never forget. Keep on posting, you guys. Yes, I’ve done the Jasper to Banff trips many times Jason/Nikki, since I live in western Canada it’s not as far to travel obviously as many in the lower 48! Of the times I have gone, this is one of those trips where you truly cannot get enough of it, so we are planning to go again this coming summer. 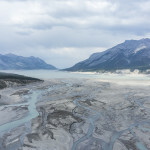 There are many smaller lakes out of Jasper that are a ‘must see’ with their turquoise coloured water, and stunning scenery with the tall Rockies on both sides, leaving you awe inspired. You truly should return one day, and take those ‘hikes’ you missed out on, as this particular area is one of the most beautiful in the world! We also plan on spending time in the most south/easterly portion of British Columbia on this same trip mentioned above. I’ve been putting off a trip to ‘Waterton National Park’ is Alberta all my life, thus this summer we’ll be also adding this to our excursions. This is another ‘wonder’ of the world, with it’s natural beauty, but apparently can be very busy during the more popular summer months, but one I am looking forward to seeing. If/when you decide to do that, moving over to the ‘Royal Terrell Museum’ in Drumheller Alberta is a worthy stop, giving you an amazing education on Dinosaurs! Won’t be long, and I’ll be packing up and getting ready for a summer of ‘on the road’ trips! This adventure looks amazing! One question, and please tell me if I missed this somewhere but when you mention “Free Wild Camping site” like in this story are you reserving this site? Is it actually a camping site at all or just a place you stumbled on that was workable for the RV? Any tip for finding sites like this along the way whether in advance or on short notice? 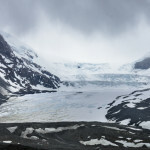 We just returned from our second trip to the icefields in the last year. Last September we went from blistering hot to a mini blizzard while camping in Jasper. This time we picked June to visit, and were rewarded with beautiful wildflowers and many animals to photograph. The only thing that I now wish we did, was take the Heli-hike that you folks took. Your blog has brought back fond memories of travels across Canada with my children. The 4 of us (me, my 2 sons who were 15 and 13, and my daughter who had just turned 10) drove from Toronto to Tofino BC for 3 weeks in 2002. We rented a van in TO, completed our trip, returned it in Vancouver and flew home. 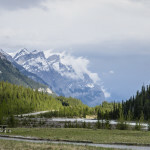 We drove from Jasper to Banff along the Icefields Parkway, taking in the beautiful scenery and wildlife. It is definitely a most amazing drive! Peyto Lake was one of our favourite stops. We travelled in to the Miette Hot Springs, where we saw a mother moose and young bull grazing in a shallow lake along the way. We went off the beaten path near Banff and saw a massive elk. 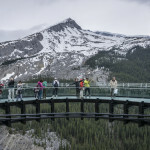 We braved the gondola ride at Lake Louise to enjoy the spectacular views even though my daughter isn’t fussy on heights. It was a wonderful adventure that my now grown children still talk about. Thank you for sharing your adventures with the world. You are inspiring! I just saw your video about the rock hitting your windshield. The same thing just happened to us on our way to Yosemite. I called my insurance and they sent Safelite out. I wasn’t sure if they could fix it, because it was about 1.5 to 2 inches in diameter, but they did fix it. You can still see a little something, but its supposed to keep the crack from growing. You guess live one wild adventure. Guess who I was behind while driving from my work in North Pole Alaska? You guys and your adorable home. Thank you for making my day. Really enjoy your trips, we learn a lot! You look like you are having a blast. I came across this link above that shows road closures and travel delays, weather, etc. in Alaska. You may already have it, but leaving it for others! ;) we chickened out on the Alaska RV trip. Going the Cruise route this year, as we are fairly new at this, but maybe next year !! Very glad to hear you enjoyed the Icefields. We met there while working summer jobs in the late ’60’s, married early ’70’s and return every few years. We have been following you the past three years since you came to the RV show in Abbotsford BC. We retired 18 months ago and have been full time ever since in our 2008 Georgetown. Currently we are at the northern tip of Newfoundand and will be back into the Vancouver area by mid August. 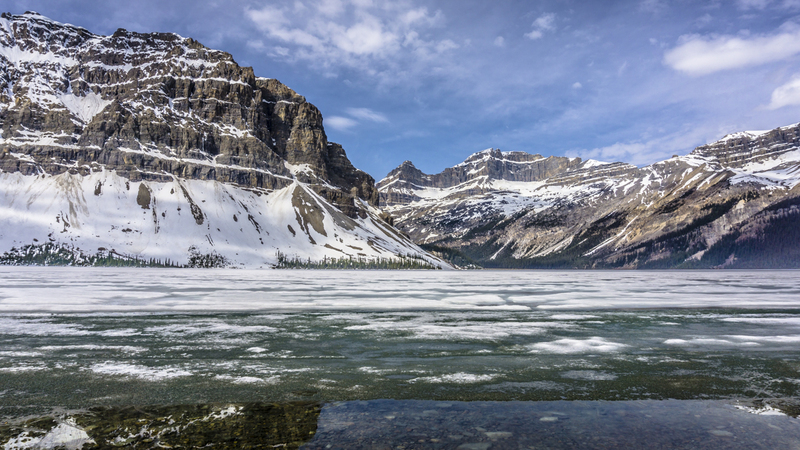 Having just driven up through Colorado, Wyoming and Montana, you’re absolutely correct Jason: the Icefields Parkway is one of the most stunning drives anywhere! 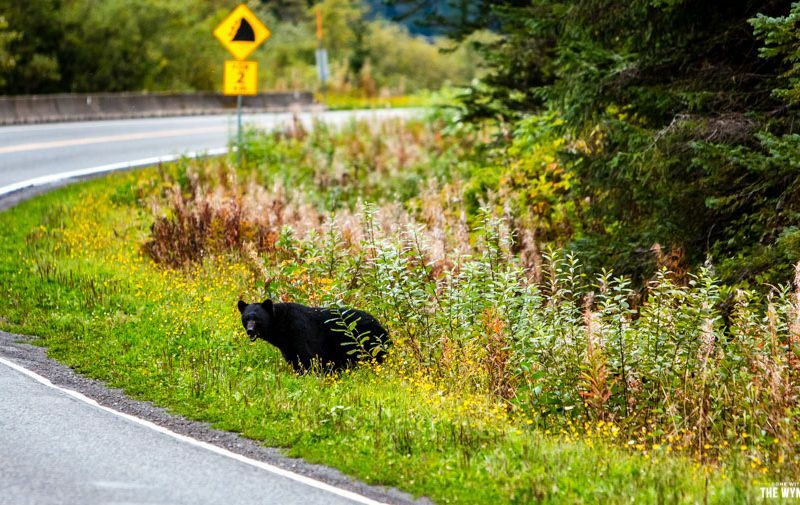 Nearly every turn in the road brings a “wow!” and wildlife was everywhere. Keep traveling and providing so much great info! been following you for several years. Just retired on May 29th and are starting our adventure by attending the Fleetwood Rally. Just wanted to say we saw your old RV in the parking lot! We did the tour of the plant and attended the seminars to learn as much as we could, but we’ve learned a lot from you! Enjoy the trip and thanks for these useful informations. Wow!! Five thumbs up!! Love it!!! I’m so happy you are enjoying our beautiful Canada. We are happy to have special people visit. I hope to do something like your trip some day. I did rent a car and take my 3 sons through the rockies from Banff to Jasper, but obviously we missed a lot. Thanks for allowing all of us to enjoy your trip with you. Your photos are awesome, bringing back great memories. Our next trip we will have to check out the heli! Looking forward to the rest of your trip. I went to Alaska in ’77 with my parents, but loved the Canadian Rockies the best. I have been back there 3 times since. 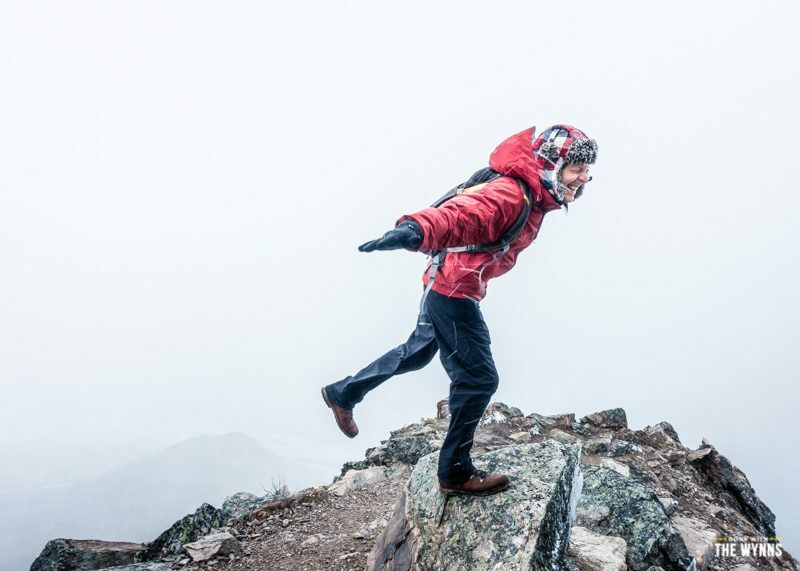 The heli-hike looks like gorgeous fun! Thanks for giving us something more to shoot for, and many travel ideas. This is definitely one worthy of the bucket list! Wow! The photos are so perfect that they look fake! It’s all just photoshop and you’re in Decatur, right? It all sounds awesome including the heli-hike, but I’ll have to watch that when I’m not laying in bed with insomnia. Thanks for entertaining me! Ha ha, I wish my Photoshop skills were that good! Maybe you can teach me a thing or ten! Sorry to hear about the insomnia…maybe you should just start driving and meet up with us! Absolutely breathtaking!!! I can’t help but wonder what the altitude would do to an old patoot like myself but you sure make it tempting! 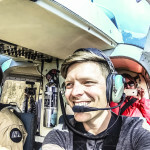 I mean really, we all got to go….and that copter ride seemed like a beautiful place to check out to me! Thank you SO MUCH, my classy hobos, for sharing your experiences with us! The whole area really is spectacular and not too high in elevation (not like Colorado Rockies) so we didn’t have any issues at all with altitude. Thanks so much for the love and I do hope you make it out one day yourself! Wynns…amazing reporting..it is just that you are making me so jealous. I hate it when people are having more fun than me. Ha ha, that is a problem that can be easily solved! You can always join us! As a Canadian it is so nice to see that you enjoyed some of the great experiences that Canada has to offer. As a teenager I hiked for 55 days through the Rockies, and 40 years later I still remember the feelings, they will last you a lifetime. 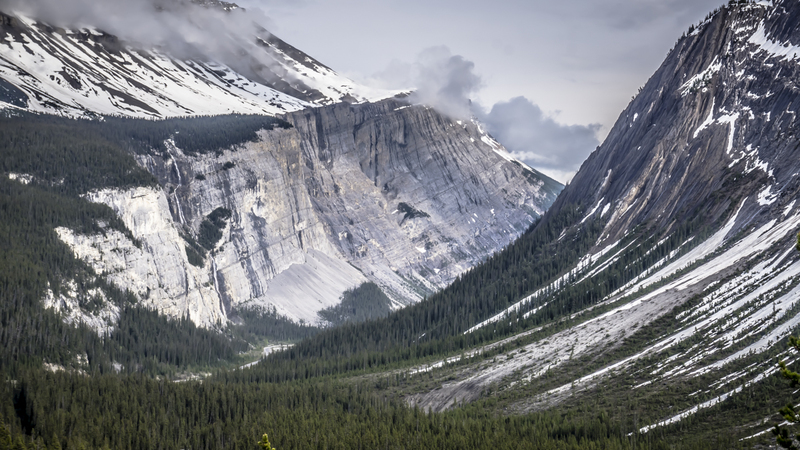 We’ve “done” Icefields Parkway twice in the past few years, but we could probably travel along it 100 times and never tire of its beauty. Yes, it is one of the most STUNNING DRIVES in the WORLD! We’re hoping to go again next year. We were lucky to see blue ice while on the glacier, but we also saw some hairy-scary crevasses, so we were all right with not going off the beaten path in this case! We have driven the Icefields Parkway three times, once going east and twice going west, and it is absolutely spectacular. I don’t think any other drive surpasses it, even in Alaska. The Beartooth Highway in Montana is a close second though. I love your site but often wonder how Nikki manages to store her wardrobe which appears to be extensive (and cute). 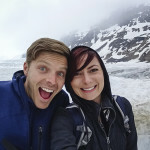 Jason and Nicki I love your blog posts of your travels! I am so happy that you are experiencing one of my favorite places on the planet, The ice fields parkway. In 1976 I bicycled from Colorado to Jasper Alberta via Banff and Lake Louise. On that same trip I rendezvoused with four buddies and we then backpacked up the Athabasca River to Fortress Lakefor six days. (Look it up on Google Earth). 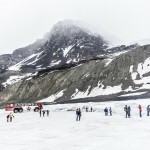 We also explored the Columbia glacier and other sites in the area. In 2010 I returned on a road trip with my wife. It was striking to see that the Columbia glacier had retreated more than a mile in those 34 years! I’m glad you got to experience a short hike on the helicopter tour. I hope you have the opportunity for a more Deepwoods overnight experience. There is nothing like having a bull moose walk through your camp to make one humble in the face of nature’s magnificence. Definitely adding to bucket list!! That was a beautiful video!! I so Look forward to every video you two put out!! More more more!! Hahaha! I don’t know if it’s me, or what, but I constantly get an error box saying “a script on this page has stopped working.” So that’s what I’m seeing, other than some really beautiful photos. Happy trails!